Investment Advisory – Radcliffe provides portfolios aligned with your life goals. We isolate a client’s specific needs through risk assessment, investment horizon, and lifetime objectives. Depending on the client’s needs, we utilize well-established companies and investment vehicles as well as individual stock and bond holdings. Tax Planning – Radcliffe Financial has grown out of an accounting practice bringing over 30 years of experience making prudent decisions with asset allocation and portfolio design. Our advisors can work closely with you to make wise decisions. Retirement Income Planning – Radcliffe Financial has an expertise in building retirement income strategies. We look beyond measuring investments to consider the full retirement goal with a broad review of resources. Financial Goal Planning -- Every client is unique with meaningful financial goals. 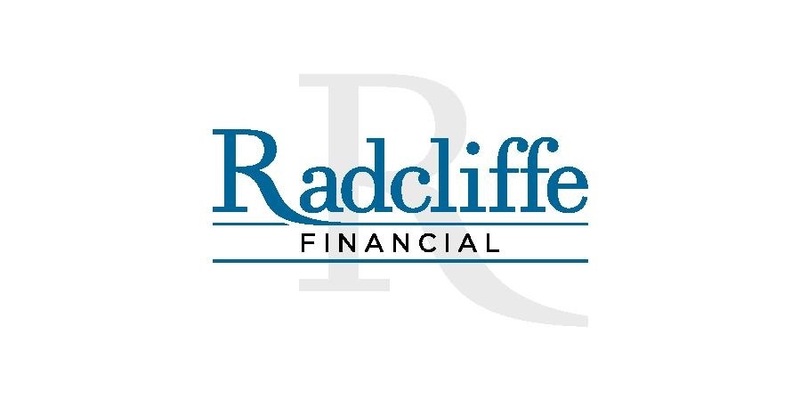 Radcliffe Financial has expertise in addressing individual financial goals as well as more comprehensive planning. We prioritize keeping you engaged with your plan and vision. One stop shopping for your retirement, investment, tax, and financial planning needs. Someone who is focused on you and your unique life challenges and needs. Our clients have a vision of the life they want to live, and we help build a well-designed plan so they can achieve their aspirations. We would love to speak with you -- Request a consultation.